I don’t know if it’s the same with other families, in other houses, but we’re still in the process of returning to normal. We haven’t completely returned to a full homeschooling day. Instead, we make progress toward more. We still find ourselves feeling the loss of Stella. We expect her in the kitchen and near the living room fireplace, but she isn’t. We creep into 2016 instead of our more typical jumping. This could be the holiday aftermath or it could be due to the fact that we have a new puppy. Four days after we said goodbye to our Stella, we met Sandy the 6 month old Lakeland terrier. I told myself there would absolutely be no puppy until August…maybe July. We returned to a “terrier expert” we’d met with Stella when our grief (and the grief of our Labradoodle) made the days too dark. Once we saw her picture, it was over. That must be how they “get” you. All my “I don’t want to potty train in the winter” talk went out the window. We picked her up the next day. We are returning to a schedule. 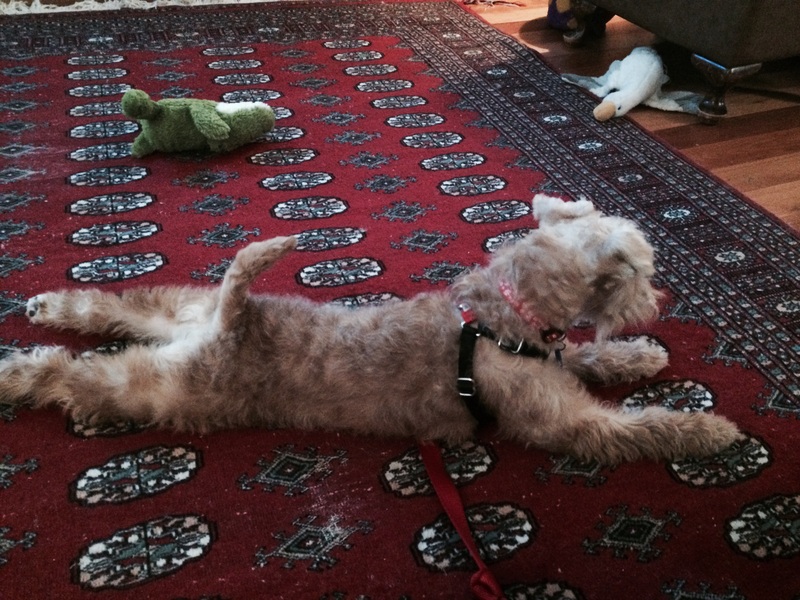 Trying to train a feisty terrier and homeschool is…interesting. We are returning to full speed even though we aren’t there quite yet, but we will be. What, no picture of the puppy in your post? 🙂 We’re having trouble getting back into the swing of things. Winter just doesn’t seem like a good time for doing anything worky. Enjoy the new puppy, and good luck getting back into your normal gear.